Individuals interested in the described above should fill out an application and submit a resume and submit in person or to LimbwalkerRoyce@gmail.com. Applications can be found online at www.limbwalkertree.com/contact/. * Successful applicant must be an ISA Certified Arborist®, or be able to obtain this certification within 6 months of hire. Individuals interested in the described above should fill out an application and submit a resume and submit in person or to LimbwalkerRoyce@gmail.com. Applications can be found online at www.limbwalkertree.com/contact/ . 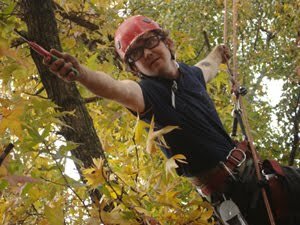 Ability to climb trees for pruning and removals, meeting ISA industry standards. Ability to operate various hand tools and bucket truck. Valid driver’s license required. Must obtain class B CDL within 60 days of employment. High school diploma or GED required. A combination of education, training and experience may be substituted when competency in the role is determined. Must be able to work with a management team and independently without supervision. Must be able to pass required pre-employment testing. Bob Ray Co., Inc. is accepting applications for an experienced mechanic. Will be required to perform mechanical duties on trucks and heavy equipment. Required to have own hand tools, be willing to acquire a class A or B driver’s license and be able to work a flexible schedule. Must be able to follow direction and work with little supervision to complete tasks in a timely manner. Candidate must possess a good work ethic and have a positive attitude. A valid driver's license and insurability required. Must be able to pass pre-employment testing. Competitive compensation based on qualification, experience and skill. Health, Dental and Vision insurance offered.